Features Steerable Coverage� Technology using up to 8 separate lobes to capture sound sources from above more accurately than any other product. Automatic positioning tool in control software easily adjusts lobes toward each participant�s voice. Intuitive user interface offers easy configuration of presets, templates and polar patterns. 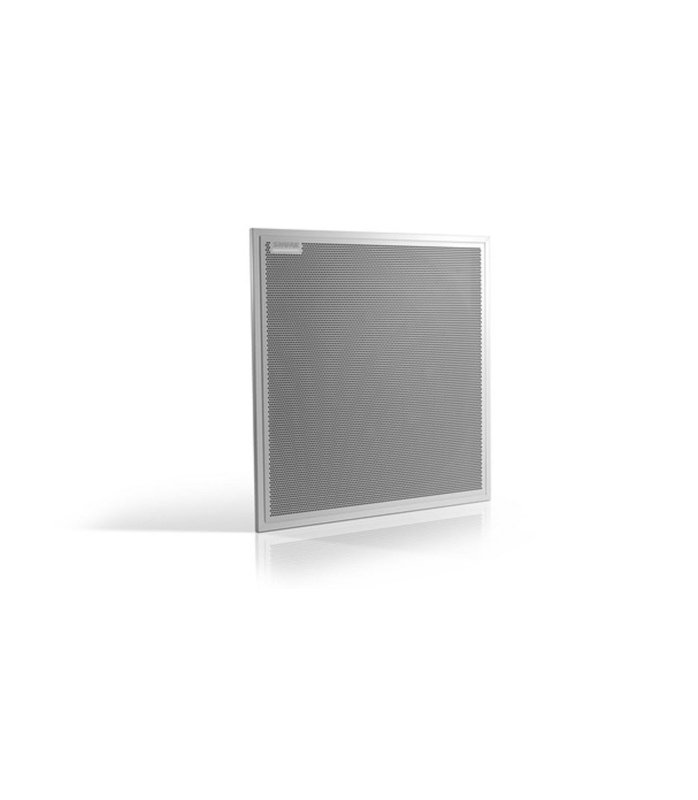 The Microflex� Advance� Ceiling Array is a premium networked array microphone that captures best-in-class audio in varying AV Conferencing environments including boardrooms, huddle rooms and multi-purpose spaces. Revolutionary technology from the IntelliMix� DSP Suite includes Steerable Coverage�, utilizing up to eight beams to capture participant audio from overhead. Browser-based control software provides an intuitive user interface for microphone attributes including lobe configuration, automatic mix settings and preset templates. Integrates seamlessly with Dante� Networked Audio, and third-party preset controllers including Crestron and AMX, delivering a high-quality AV Conferencing experience and an aesthetically pleasing and productive meeting space that appeals equally to integrators, consultants, and anyone using the ceiling array in their workday meeting spaces. MXA910W 60CM from Shure is 100% original and is available at NMK Electronics. Speak to our expert for booking a live demonstration. After sales customer service is an integral part of our business ethic and is taken very seriously.